Vegetarian, gluten-free, halal option: available. We show you how to make soba professionally through the half day hands-on session. It includes authentic dipping sauce and broth making essentials also you can taste the chef Akila’s quality soba noodles in the meanwhile of the class. Finally, you’ll learn the first step of the soba business basics. 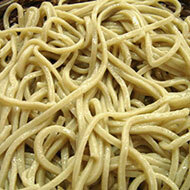 Any questions about making soba are welcome. Duration is around 4.5 hours. • Equivalent to the kick-off program of the comprehensive 10-day . This class is designed for tourists and party events program. 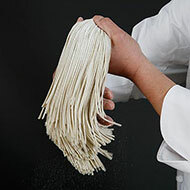 To shorten the class season from the “Just For Fun Soba Making,” start Akila’s making soba presentation and the hands-on lesson simultaneously in the beginning. 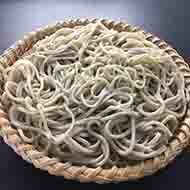 We prepare everything to give excellent experiences of soba making to you and companions. Chef Akila serves his quality soba noodles after the session in Japanese traditional soba restaurant style, and you will enjoy the meal with attractive seasonal ingredients. You can bring noodles, which you make in the class home. The class fee is 30,000 jpy at one time including quick hands-on lesson and soba meal charge for up to 3 people (even if you will come solo or bringing just one more person). Typical duration is up to 2.5 hours. Enjoy to see making soba session from scratch by Chef Akila’s excellent technique, and taste his quality soba noodles after the presentation. It’s available to offer a wheat-free class by option. 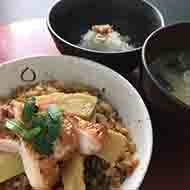 We serve the meal in Japanese traditional soba restaurant style, and it will come with attractive seasonal ingredients. You can select the order from various preferences, as well. Duration is around 2.5 hours. Enjoy making 100% pure buckwheat soba, without wheat flour, from scratch in hands-on style session and taste the chef Akila’s quality soba noodles after the lesson. We serve you the meal in Japanese traditional soba restaurant style, and it will come with attractive seasonal ingredients. 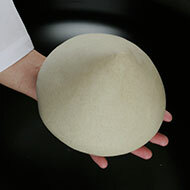 All of you can take out the soba which made in the lesson to your homes/accommodations. Perhaps, we only can offer the unique class everything in English. 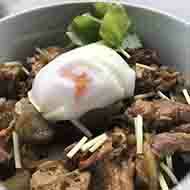 You can learn two of the most in-depth courses soba and Japanese donburi at once in a half day. This is a fantastic combination class of the “Japanese casual donburi cooking” and “Just for fun soba making.” Basically, donbries are seasoned with authentic soba restaurants’ dipping sauce and broth. So that they have a magnetic attraction for the Japanese with no exception. You’ll learn how to make full use of the soba’s dipping sauce and broth and must realize why the taste and the flavor make the people crazy about it. All of you can take out the soba which made in the lesson to your homes/accommodations. Sounds how ambitious. You can learn two of the top-rated classes soba and Japanese cooking at once in a half day. This is also the attractive combination class of the “Essentials of Japanese cooking” and “Just for fun soba making.” Actually, making soba and Japanese cooking both are far different idea to do the preparations, but if you see the real contradistinctions in between them, it can be a great short-cut to understand the Japanese food culture. 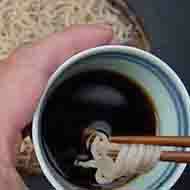 All of you can take out the soba which made in the lesson to your homes/accommodations. We need to add 8% consumption tax to the total amount of the fee. ©Suijunsya & ©Akila Inouye Thank you for coming to Tsukiij Soba Academy.